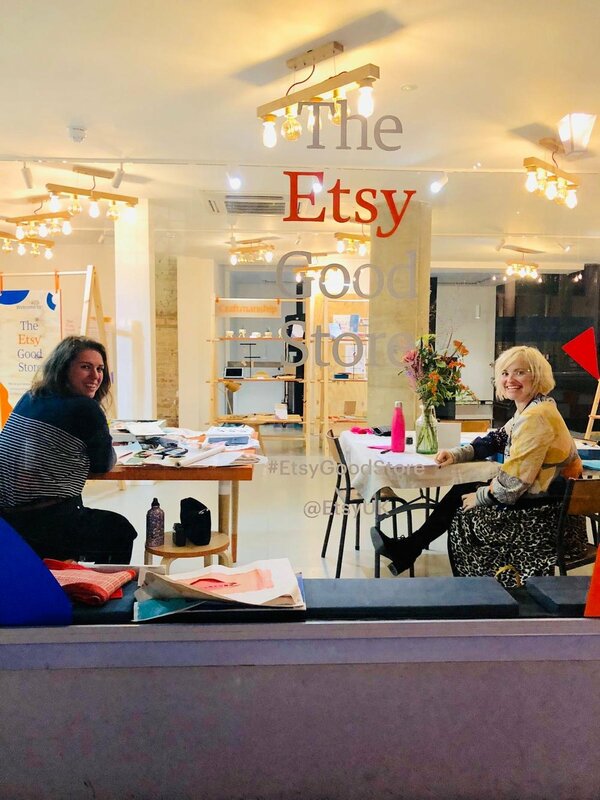 A couple of weeks ago I was invited to spend a day demonstrating my process and chatting to customers in the Esty Good Store pop up in Covent Garden. The concept behind the store was to encourage a more conscious approach to shopping, considering the provenance of the items in store as well as the impact that a purchase would have a on a small business. I was also invited to take part in a panel discussion with Sophie Robinson (of DIY SOS and Great Interior Design Challenge fame) to talk about how to approach conscious consumerism in a time when we are bombarded with information about the choices we should be making. You can watch the panel discussion on the Etsy UK Instagram TV channel and keep an eye on their instagram feed for more videos from the event.